Authored Articles What about Grandma and Grandpa? It’s been said that a divorce involving minor children is generational. The effects of divorce extend back to grandparents and forward to future grandchildren, and to all the “lateral” contacts of siblings, aunts, uncles, nieces, nephews . . . you get the idea. Often, the most immediate impact of a divorce – outside of the parties themselves and their children – is on the children’s grandparents. A stable relationship with grandparents can be a source of love and security for minor children going through the upheaval of their parents’ divorce, and in most cases, parents recognize and welcome grandparents’ continuing involvement. But there are times when one or both parents do not wish the relationship with grandparents to continue. There occasionally are good reasons for ending or restricting the relationship, but more often grandparents’ continuing contact with their grandchildren should be welcome. In those cases where the parents are restricting or preventing contact with grandparents, Minnesota allows grandparents to request “reasonable visitation rights” in a family court proceeding, including dissolution, custody, legal separation, annulment or parentage. In such a request, reasonable visitation will be ordered if the court finds that visitation with the grandparents would be in the best interests of the child and that such visitation would not interfere with the parent-child relationship. 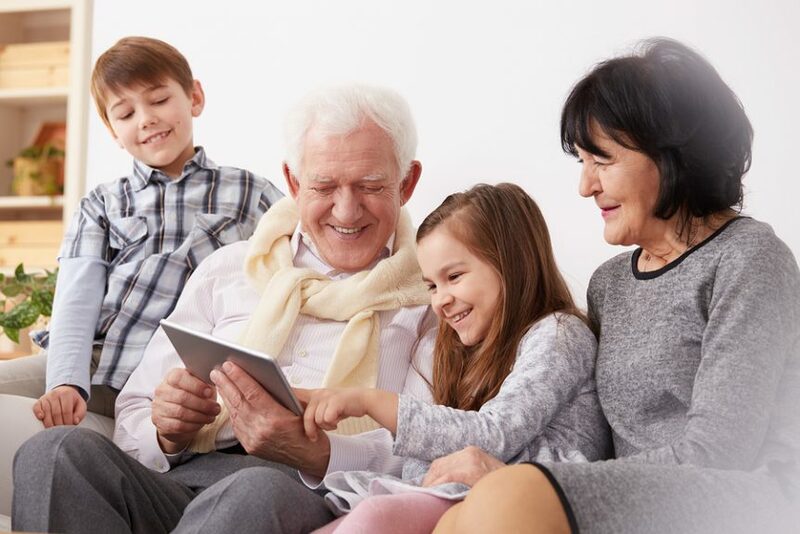 In determining the best interests of the child, the court will take into consideration the amount of contact between the grandparents and the child prior to the proceeding. The request, by a parent or a grandparent, is made by way of a formal motion. If the minor child has actually lived with the grandparents for a period of 12 months or more, and is subsequently removed from the grandparents’ home by his parents, the grandparents may request reasonable visitation with the child. Again, such visitation will be granted if the court finds it would be in the best interests of the child and will not interfere with the parent-child relationship. Finally, a grandparent may request reasonable visitation with a child who has been adopted by a stepparent if the grandparent is the parent of either a deceased parent of the child or a parent of the child whose parental relationship has been terminated by a decree of adoption. Again, the same standards of best interests of the child and non-interference with the parent-child relationship will be considered by the court. Prior to 2007, the court was unable to deny visitation rights to grandparents based on allegations that visitation would interfere with parental rights unless after a hearing the court determined that such interference would occur (Minn. Stat. §257C.08, Subd. 7). However, in the case of Soohoo v. Johnson, which was argued by Sue Wilson, the Minnesota Supreme Court found Subd. 7 of the statute unconstitutional because it improperly placed the burden of proving interference with the parent-child relationship upon the parent. In other words, requiring the parent to carry that burden of proof violates a parent’s fundamental right to the care, custody and control of his or her children. The interests of parents and grandparents are most often aligned in continuing a loving and stable influence in the minor children’s lives. In those infrequent cases where one or both parents wish to restrict visitation with grandparents, under Minnesota law the grandparents have an opportunity to request reasonable visitation, so long as visitation is in the best interests of the children and does not unreasonably interfere with the parent-child relationship.